Of course, you can never go wrong with black and white, even though monochrome pallete is unlikely to make your home feel warm and welcoming. Still, it makes perfect sense to start with mixing neutral colours – grey, beige and wood shades – to gain more confidence and diversify the colour range of your living room . If you’re still not ready for bolder and brighter shades, consider classic options widely used in most modern interiors – mint, navy, and light green. These colours blend in beautifully into almost any settings, moreover, they are peaceful and relaxing and look pleasant to the eye. If you think – ‘I need help bringing colour into my living room’, these popular colours will prove helpful. Metal fittings, like locks, knobs and door handles are often overlooked, yet their colour may subtly influence the entire perception of your living room . Note, that this year gilded, copper and yellowish metal shades are gaining more and more popularity. To avoid mistakes while bringing colour into your living room and mixing colours, stick to the same colour tones. For example – using all pastels will make your living room look harmonious and consistent. If you know your preferred colour for your living room – why not emphasize it with a contrasting shade? This will add more depth to your space and introduce an impressive accent to your living room. The obvious benefit of using accessories to bring colour into your living room is that they can be easily replaced – there is no need to pay for costly repaint jobs in this case. Accessorizing with rugs, throws and pillows will not only add colour to your living room – it will also make it more homey and welcoming. Besides, you can play with textures and patters to create unforgettable effects. Also, don’t forget about glass elements – vases and table surfaces may be tinted into different shades to make your living room more colourful . 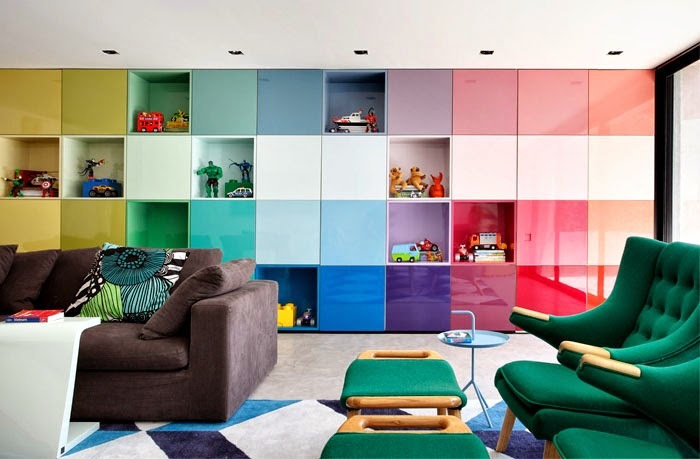 Interior trends tend to change from year to year, so if you need help bringing colour into your living room and want to be in tune with the latest trends, check out popular Pantone colour suggestions for 2016 to boost your imagination. Also, read this guide for more ideas and insights.